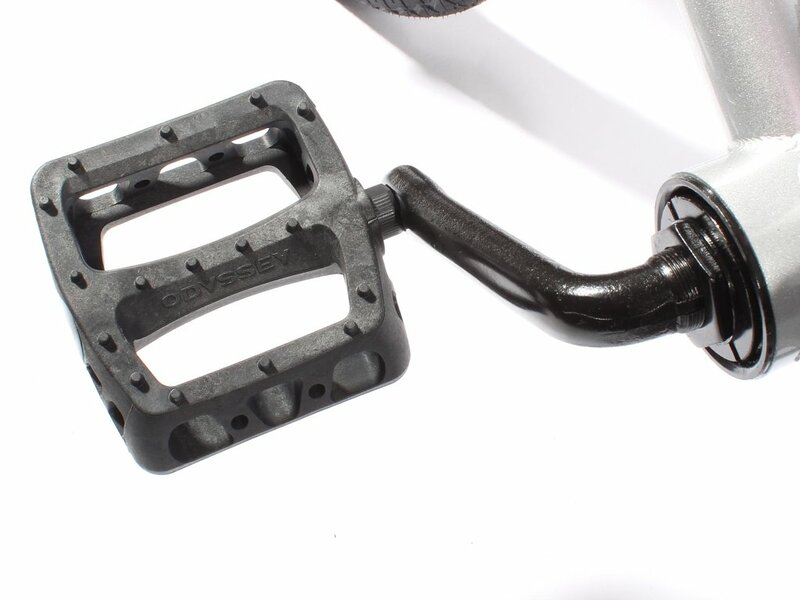 The popular Odyssey BMX "Twisted PC" Pedals - 1/2" Axle is also available with 1/2" thread. 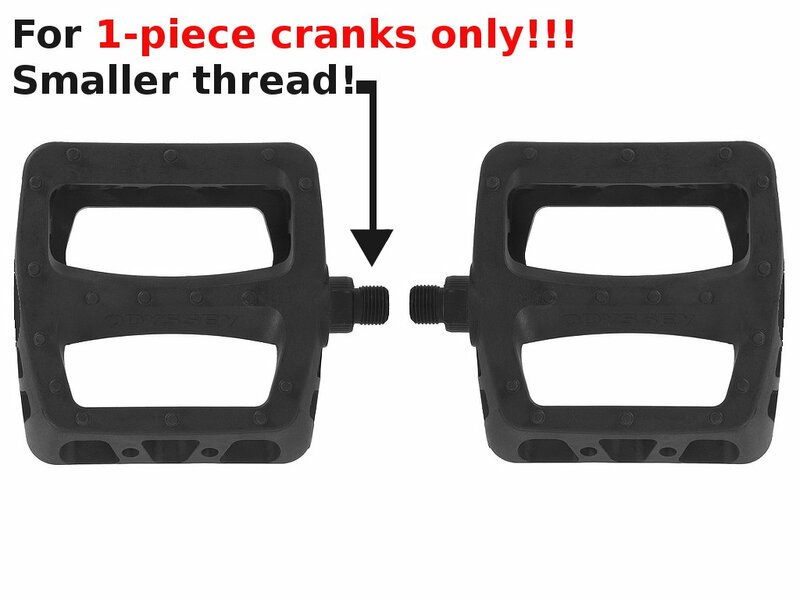 If you have a one piece crank the Odyssey BMX "Twisted PC" Pedals - 1/2" Axle will fit on it. Attention! These pedals are fit only for 1/2" threads (1-pc cranks)!